US hip-hop producer, and DJ. Brother of Illa J.
James Dewitt Yancey, better known by his stage name J Dilla or Jay Dee, was an American record producer who emerged from the mid-1990s underground hip-hop scene in Detroit, Michigan. He began his career as a member of the group Slum Village, and made his name with Common, A Tribe Called Quest, and as Jaylib in which he collaborated with Madlib. He was also a member of the production team trio The Ummah with Q-Tip and Ali Shaheed Muhammad. He started his career under the name Jay Dee (based on his initials) but used the name J Dilla from 2001 onward. Many critics believe his work to have had a major influence on his peers and that he embodied the neo-soul sound, playing a defining yet understated role during the sub-genre's rise (roughly from the mid-1990s to the early 2000s). LA-based producer and MC, Madlib, began collaborating with J Dilla, and the pair formed the group Jaylib in 2002, releasing an album called "Champion Sound" in 2003. After J Dilla relocated from Detroit to LA in 2004, they toured as Jaylib in Spring 2004. He moved from his native Detroit to Los Angeles to live with his mother after being diagnosed in 2003. It was later revealed that he suffered from TTP, a rare blood disease, and Lupus, affecting the immune-system. J Dilla's illness and medication caused dramatic weight loss from 2003 onwards, forcing him to publicly confirm speculation about his health in 2004. Despite a slower output of major releases and production credits in 2004-2005, his cult status remained strong within his core audience, as evident by unauthorized circulation of his underground "beat tapes" (instrumental, and raw working materials), mostly through internet file sharing. Articles in music publications URB (March 2004) and XXL (June 2005) confirmed rumors of ill health and hospitalization during this period, but these were downplayed by J himself. The seriousness of his condition became public in November 2005 when J Dilla toured Europe performing from a wheelchair. His last album released during his lifetime, "Donuts", was released on Stones Throw Records on 7 Feb 2006, Dilla's 32nd birthday, and the first one in year's he didn't spend in hospital. Three days later, on 10 February 2006, he died at his home in LA. According to his mother, Maureen Yancey, the cause was cardiac arrest. The founding of the James Dewitt Yancey Foundation was announced in May 2006 by his mother Maureen Yancey, to honour her son's legacy and to help raise awareness and funding for Lupus research by organizing continued events to aid underprivileged children gain quality arts training, primarily in the field of music. Thank You for everything J Dilla aka Jay Dee.. you are much appreciated..
Just like 2 Pac Dilla will release more than 10 times the music after his death then before, without his blessing of course but hey respect went out long ago. Me me me! Why the page of "jaydee" Is not incorporated into This page "j dilla"? One artist, two list..
no mention to one of the best producers of hiphop ever??? 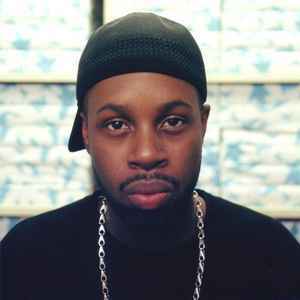 j dilla is the man!